Many non-profits are plagued by the adage "you have to have money to make money." Of course, you aren't trying to "make money" in the traditional sense, but the reality of the phrase still rings mostly true: it is exceedingly difficult to raise money for an organization when you don't have the financing to hire a professional fundraiser, grant writer, or event planner. This is incredibly frustrating when you know your cause is worthwhile. This is where Dream Big Fundraising's membership program can make an enormous difference in the future of your non-profit by removing barriers to success. Please provide a brief overview of your organization and/or a link to its website, Facebook page, etc. This will give us a chance to get to know each other, establish clear expectations, and, most importantly, give me a rich understanding of your organization's mission, goals, struggles, assets, and hopes. The consultation will be done via phone, video (Skype, for example), or, if your location permits, in person. This consultation will be key in the successful creation of the annotated list of fundraising resources. Tier 3 membership includes a second consultation which will allow for time to discuss organizational changes and updates, the annotated resource list, planned events and promotions, and, primarily, the marketing/organizational materials to be created and the grant proposal to be written. If your organization has an upcoming funding deadline then the grant proposal could be discussed in the initial consultation, as long as I feel there is adequate time to prepare the proposal. Based on the consultation, I will provide a written assessment of your non-profit from the fundraising point-of-view. This will include what aspects of the organization and its programs you should emphasize in grant applications, which projects have the most funding potential, what areas you should strengthen, and what types of events will have the highest return in regards to growing your constituent base as well as raising funds. This outside, 3rd party evaluation is extremely beneficial to any nonprofit looking to advance its mission, because knowing fundraising potential plays a significant role in organizational planning. Even if the assessment indicates funding potential may be relatively small, it will still help your organization understand how to maximize the potential that exists—and by maximizing an initially small potential additional opportunities are far more likely to appear. Based on my knowledge of your organization I will compile a selective list of foundations, grant opportunities, and other creative funding sources with succinct notes to accompany each choice so you will know why they are great possibilities and how they should be prioritized. Having a prioritized list of options is an excellent way to get your small non-profit on track and make the best use of your limited time (and money) by giving you a big boost towards the end goal of applying for funding. In order to capitalize on new funding opportunities an organization needs to have someone consistently researching and staying updated, because otherwise last minute, short-notice funding possibilities can be missed. The value of vigilance in the world of fundraising cannot be underestimated: there is little as disappointing as discovering too late that a great opportunity with a high likelihood of success has passed you by simply because no one was paying attention. For the duration of your membership Dream Big Fundraising will keep an eye-out for new options and quickly pass them along to you. One of the toughest aspects of writing a grant proposal is figuring out the best language to use to make the most of often limited word or page counts. It is important to convey emotion, but also to be succinct and clear. Doing both is challenging and definitely a task where an experienced grant writer can make all the difference. Another difficulty is understanding precisely what information a potential funder is looking for when an application asks a particular question. 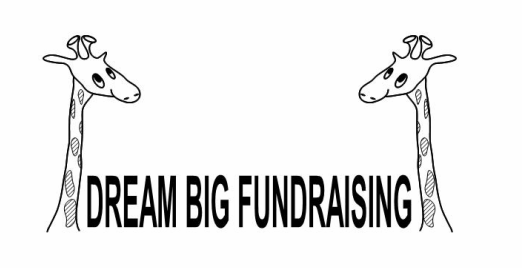 When Dream Big Fundraising proofreads an application not only will word choices, phrasing, and grammar be examined, but also content to ensure questions are answered to the best of your organization’s ability. Tier 2 members can have up to five proposals and Tier 3 members can have up to ten proposals reviewed within the 12 month period (up to two proposals in one month and not more than 50 pages total for Tier 2 members and 80 pages total for Tier 3 members over the 12 month period). When a volunteer or staff member is working on a grant proposal, putting together an event, or designing a piece of marketing material they frequently can benefit from the support of a knowledgeable person to share ideas with or ask for technical assistance. I will provide support and answer questions via phone or email within 48 hours. When I will be unavailable for any planned extended period members will have at least one week’s notice, which will allow organizations to plan ahead and submit questions earlier. If an emergency arises preventing me from communicating in a timely fashion then I will let all members know as quickly as possible. There are many obstacles to designing marketing materials that are pleasing to the eye and convey the right amount of information for the chosen format and audience. A tri-fold brochure, for example, often lends itself to more descriptive material while an event flyer needs to be concise and graphic to catch attention. Sometimes the difficulty in producing marketing materials is technical, such as an organization not having access to the right software, and other times it is one of personnel: not enough people to do the work that needs to be done. Whatever the reason, Dream Big Fundraising can fill in the gaps to design materials that will frame your organization in the best light possible and convey information about events, volunteer opportunities, mission, etc. (Please note: membership includes the design, but not the printing of materials). Tier 2 members can have up to two marketing materials designed while Tier 3 members get three designs. Possibilities include (but are not limited to) a tri-fold brochure to describe an organization’s mission, programs, and ways to help; a flyer for public display to advertise an event; or an information sheet about volunteer opportunities. This benefit is the icing on the cake for Tier 3 members and a phenomenal value. During the 2nd 90 minute consultation we will discuss possible funding sources your organization is interested in applying to, examine the proposal formats of potential sources, and figure out which source would best be served having a professionally written proposal. Different foundations have their own applications and the format can vary widely from ones asking for small word count answers in response to specific questions to formats that are more akin to an essay. Since formats can be so different it is impossible to precisely quantify how much writing I will do for this particular benefit; however, generally speaking, a member should expect not more than the equivalent of seven single-spaced pages. When choosing a grant to apply for we will also discuss the obligations of your organization in the grant writing process, because this will be key to meeting deadlines and having a proposal with an excellent chance of being successfully funded. Foundations today often require data about an organization and its programs, some of which I may already be familiar with given our close relationship, but inevitably there will be information I do not know and it will be important to have timely responses in order to keep the process moving. Your organization should realize its role in writing the proposal so it can be prepared to participate; and this factor could also guide what grant proposal to write since some may necessitate more or less involvement from the member.